Situated on a Vitet hillside, Carmen Villa is a contemporary home that enjoys a great location with nice ocean views. The villa has a very open floor plan that includes 3 bedrooms, 3 en-suite bathrooms, a gourmet kitchen, and indoor/outdoor living and dining areas. The large terrace overlooks the ocean and surrounding island, and the pool is perfect for cooling off or for just lounging next to. More seating areas can also be found out here so you can relax with the island breezes keeping you cool. Guests at Carmen Villa will also enjoy the convenient location that is just 10 minutes from groceries, restaurants, and more. Contemporary hillside villa with ocean views! 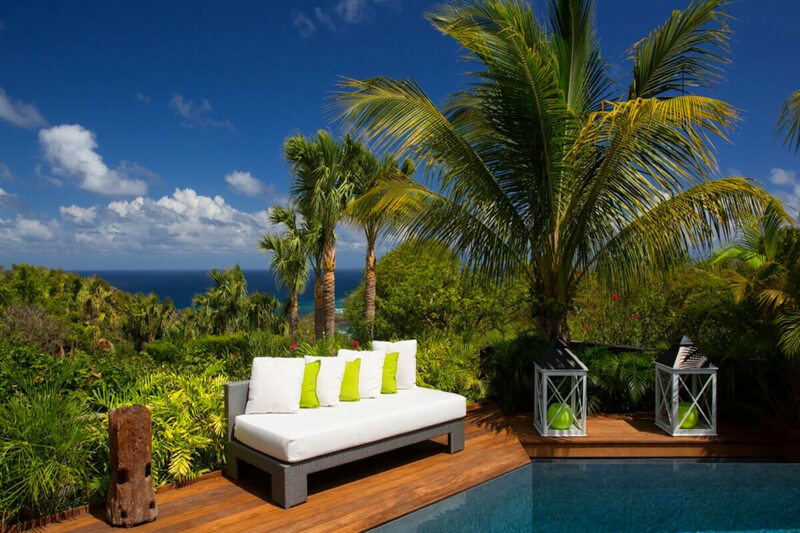 Carmen is a new villa on the hillside of Vitet on St. Barts. Contemporary in style and furnishings, this spacious villa includes a large living room that opens to the terrace with a pool. The gourmet kitchen is perfect for meals with friends. It is complemented by an outdoor BBQ. The bedrooms are spacious and have a great view of the deck and pool. Within driving distance to Lorient, Grand Cul de sac.